BERLIN (AP) — U.S. military documents are deepening the mystery surrounding the more than 1,400 artworks found in a Munich apartment. In the chaotic aftermath of World War II, the American military seized 20 boxes of art from German dealer Hildebrand Gurlitt in Aschbach in December 1945, according to documents located by The Associated Press in the U.S. National Archives in Washington. Gurlitt had worked closely with the Nazi regime in the 1930s to sell art it considered "degenerate" to fill its war coffers. 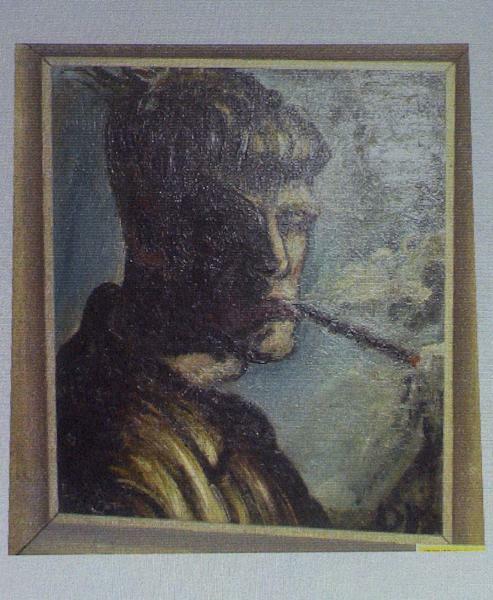 American investigators at the time expressed doubts about Gurlitt's claims to the works, but they eventually decided that in most cases he was the rightful owner. So on Dec. 15, 1950, the U.S. returned 206 items to him: 115 paintings, 19 drawings and 72 "various other objects." At least three of the artworks documented by the Americans have now re-surfaced, found hidden in the Munich apartment of Gurlitt's son, 80-year-old Cornelius Gurlitt, during a tax evasion probe that German prosecutors announced earlier this week. The three paintings that the Americans returned to Cornelius' father in 1950 and which have showed up in the Munich trove are Max Liebermann's "Two Riders on the Beach;" Otto Dix's self-portrait and an allegorical painting by Marc Chagall. 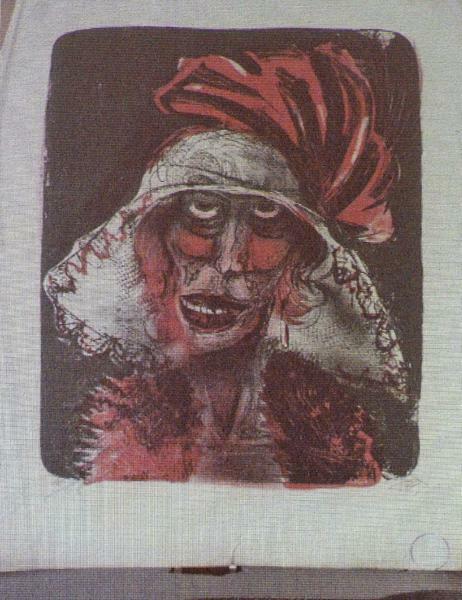 Also found in the son's apartment were paintings, drawings, engravings, woodcuts and prints by Henri Matisse, Pablo Picasso, Pierre-Auguste Renoir, Oskar Kokoschka, and leading German artists Dix, Liebermann and Ernst Ludwig Kirchner. Prosecutors gave few further details about the overall collection. 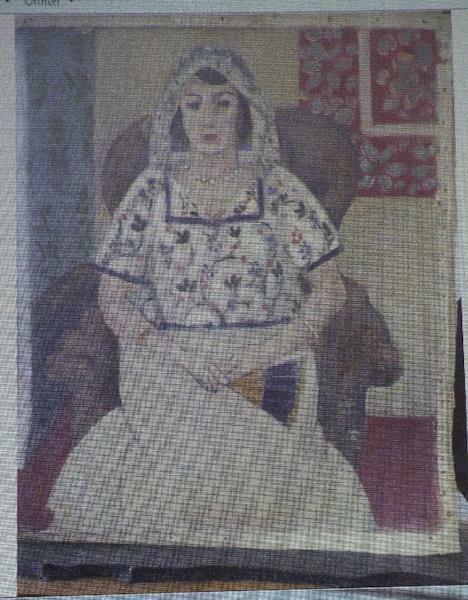 Still, they said they found evidence that at least one item in the Munich apartment — a Henri Matisse painting of a sitting woman — was stolen by the Nazis from a French bank in 1942. Christoph Zuschlag, an art historian at the University of Koblenz, said the American documents indicated U.S. investigators suspected right after the war that Gurlitt may have been in possession of looted art. He said if German authorities published a full list of the find at the apartment, then experts could determine more quickly whether Gurlitt was the rightful owner. "As a historian, I have to say pictures and information about all the art has to be published online immediately," he said. "A whole team of experts should work on this discovery and try to answer all the remaining open questions." German prosecutors who are pursuing the tax case against Cornelius Gurlitt — whose whereabouts are currently unknown — said this week they had "concrete evidence" the artworks found in his apartment included both "degenerate art" seized from German museums and other works that may have been taken from individuals. Museums, galleries and the heirs to those individuals, likely Jewish collectors forced to give up or sell their art at rock-bottom prices, could now have claims. The Conference on Jewish Material Claims Against Germany, which administers restitution claims from victims of Nazi crimes, said the quickest and most efficient way to clear up any doubts would be for prosecutors to release a complete list. Spokeswoman Hillary Kessler-Godin said the Claims Conference already has an online database of 20,000 looted objects based on the Nazis' own records that is searchable by owner, artist and other keywords. She said that could be easily used to determine if there are any claims on the Gurlitt collection. "Our experts believe that a number of the works found in Munich could be in this database," Kessler-Godin said in an email. "Keeping the list a secret hinders the process of expeditious restitution." When U.S. investigators questioned Hildebrand Gurlitt in 1945 about the origin of his collection, he told them that he had taken the art with him to Aschbach when he and his family fled Dresden after the city was devastated by Allied bombing in February 1945. "All pictures I brought with me ... are the personal property of my family or myself," Gurlitt told the American interrogators, according to the U.S. documents, first reported by the Sueddeutsche Zeitung newspaper of Munich. But he said it would be hard for him to prove his ownership of the collection, because all his records and correspondence were "destroyed in Dresden." One U.S. investigator at the time noted inconsistencies in Gurlitt's claims to various paintings, while another said he "gave an impression of extreme nervousness and of offering only a minimum of information." Marc Masurovsky, an expert on Nazi-era art transactions and co-founder of the Holocaust Art Restitution Project in Washington, said it is likely that Cold War-era investigators questioning a West German who had re-established himself in society probably just took the easy route. "The political atmosphere was: We're just going to go back to work again and not ask lots of uncomfortable questions," he told the AP. Masurovsky, who independently also found the National Archives documents and posted them on the Internet, said they raise more questions than they answer. "The returned objects are 10 percent of the load" found in Munich, he said in a telephone interview. "Where did the other 90 percent come from? Did Gurlitt have several stashes of art? How many works did he already sell off?" AP Investigative researcher Randy Herschaft contributed from New York.